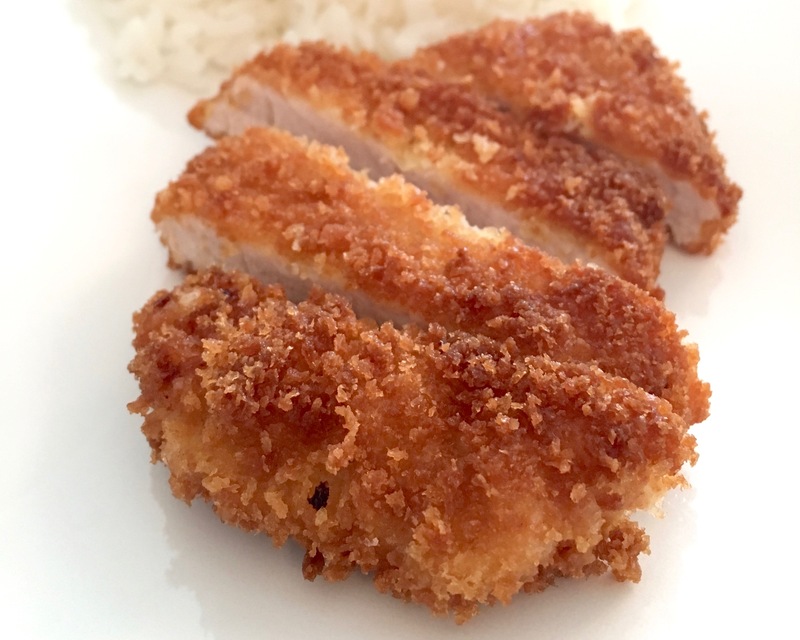 This is Hirekatsu, which is deep fried pork fillets. This is a modified recipe from the Chopstick Chronicles. 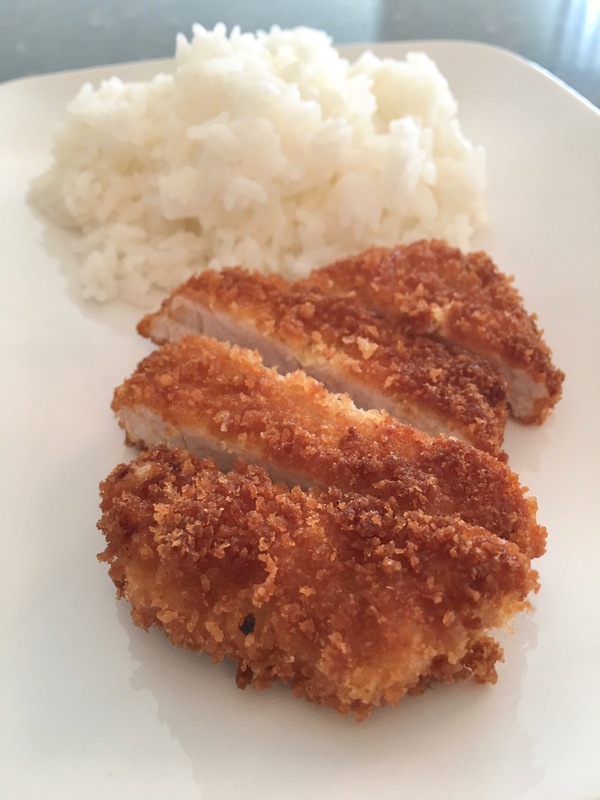 I have never fried pork fillets before but my husband really likes fried foods so I thought I would give it a try. However, he does not like cabbage so instead of shredded cabbage we ate sticky rice. I could not find the Kewpie mayonnaise so I did without and the breading stayed intact quite well. 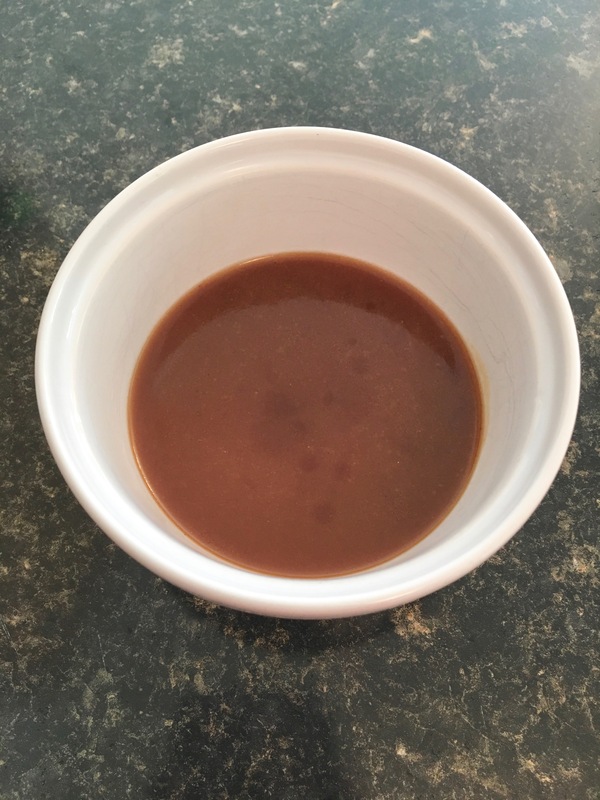 I could not find all the ingredients for the sauce the Chopstick Chronicles used so I searched the internet looking for a sauce using miso paste. I found one on All Recipes and modified it a little bit. It kind of tasted like gravy which I liked but my husband opted to dip his hirekatsu in a mix of soy sauce and wasabi. Cut the pork fillet it even-sized slices. Set out three bowls, one for flour, one for egg, and one for the Panko crumbs. Make sure you whisk your eggs well. Coat each fillet first in flour, then egg, the crumbs. Heat oil in a deep pan or deep skillet. Do not allow heat to become too high or you will burn the outside before the inside is done. Toss a little flour in the pan to see if the oil is warm enough and place fillets in the oil. Once crispy and golden brown, flip fillet onto the other side. Once that side is crispy and golden brown, place fillet on a towel lined plate and use a thermometer to ensure each fillet is fully cooked (approximately 170-177°). Serve the pork fillets with rice, vegetables, and enjoy! Using a silicone spatula, pour mixture into a small pot, scraping the bowl (in order to ensure the sugar at the bottom comes out), and heat until mixture thickens.